I purchased this serum in my February skincare haul from Bonjour HK. The Bonjour website is actually quite friendly-- I initially wanted the Skinfood Tomato moisturiser, but my friend in Hong Kong said the line was discontinued in Hong Kong shops (so sad). I purchased this as a substitute because I wanted to try a whitening (brightening) product to lighten the scars on my face. Let's find out if this baby works! Application: Use after your toner. Squeeze a few drops onto your palms and pat into your face for absorption. Follow it up with your moisturiser. Vitamin C is notorious for brightening so I picked this up in a heartbeat. IT SMELLS SO LOVELY; a fresh, citrus smell. Unfortunately, it didn't really work out for me. My face was not visibly brighter even though I used up the bottle very thoroughly everyday and night for around three months straight:( I'm not sure if it was because I only used a drop rather than three drops as others have suggested to cover my face. The serum is light and non-sticky. It absorbed quite quickly and felt light on my face. I think it did a good job moisturising even though it was not slanted to do such a thing. Ironically, I think my face has actually gotten a shade darker even though I no longer see sunlight during my weekdays and have stopped wearing sunscreen with my 6am- 6pm schedule (so naughty). 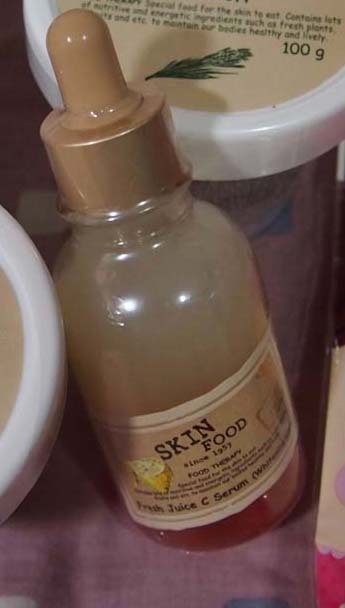 I have heard Skinfood is very hit-or-miss with their skincare products. This serum is a miss for me. I'm not pulled in by their makeup range but I do adore their wash-off packs (yes, the famous Rice and Black Sugar one I hauled together with this serum). I have heard good things about the more expensive Omija Whitening range from Skinfood though! TL;DR: It smells good and feels nice on the skin, but it did not do what it claimed for my skin. I would personally give this a miss. Have you tried any whitening or brightening products? What would you recommend? A super duper refreshing and cooling gel cream from The Face Shop. 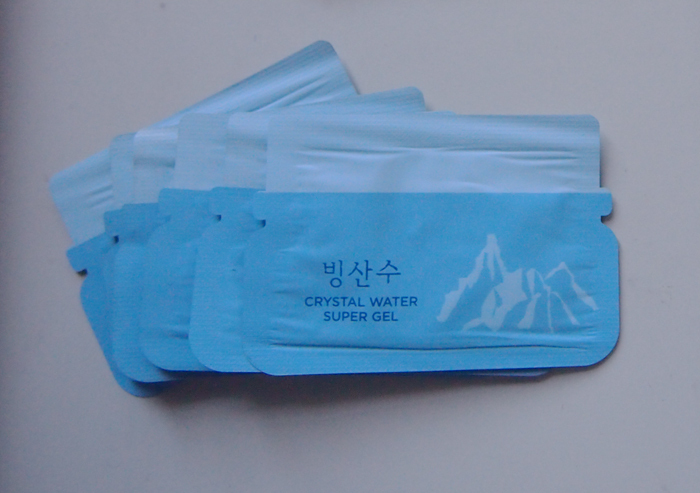 It contains some star ingredients for the face such as arctic crystal water, hyaluronic acid, and xylitol. 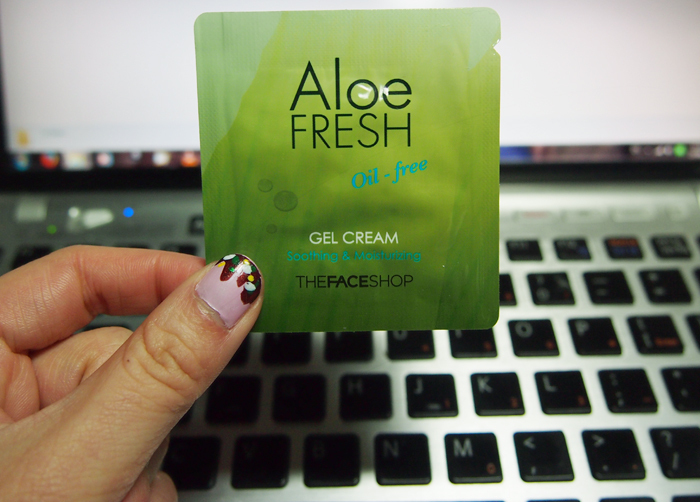 Another sample I picked up from my adventures at The Face Shop. What they say: 'Containing 1,000mg of iceberg water from Newfoundland, Canada and 1,000mg of phyto- hyaluronic acid'. It is suitable for all skin types and it is especially recommended for hydrating dry skin. This product is from the Refreshing Cooling Line. Apparently it also has some astringent properties. Application: Use after your toner. You can place it in the fridge to maximise this gel's cooling properties. Around a month ago, one of my friends gifted me Benefit's 'Do the Bright Thing' kit. I was so excited because I have recently been 'researching' reviews of High Beam and I was considering buying 'Finding Mr Bright' to get the sample size version. Benefit is one of those brands I associate with being young, fun, quirky, and creative. The only other Benefit product I have owned was 'You Rebel', a tinted moisturiser.